You’ve put in the hours. You’ve bled and cried. You’ve driven yourself crazy trying to iron out that nasty plot hole. And now you’ve done it – you’ve finished your manuscript! Huzzah! Congratulations! But now what? If you want to get your work out there and are considering self-publishing, you’ll want to make sure you cover the basics before attempting to put your words out there for the world to read. I published my first ebook back in April 2014 – nearly a year ago. And now, with four more books slated for release this year, I’ve put together a checklist to help myself stay on track and would like to share them with you to aid you in your own self-publishing adventure! Note: This is meant to be a very basic checklist to make sure you don’t forget anything. But not to fear! I’ll be posting more about these checkpoints in detail over the next few months. Have you had a second (or third or fourth) set of eyes look at your manuscript? Have you edited, revised, and polished your work? Have you selected/announced a launch date? Do you have a professional-looking cover for your manuscript? Is it eye-catching? Does it look good as a thumbnail (this is how it will show up on most websites!)? Have you done a cover-reveal? Are you producing this book as an eBook? Are you doing Print on Demand (PoD)? Find the vendors/sites you want to sell through and adhere to their guidelines (formatting, marketing, ISBNs, etc.). Has your book (whether print or eBook) been formatted to the appropriate formats for your vendors (or wherever you’re selling?). Give yourself a couple extra days to upload your book with to your vendors’ sites so that you don’t miss your release date. Have you selected an appropriate/competitive price for your book? Have you written a stellar (and accurate) blurb to put on the back of your book or on your book’s page? Have you selected succinct categories and key-terms for your book on your vendors’ websites? Where are you marketing your book? Follow any guidelines for those platforms. Have you sent complimentary copies of your book to any reviewers you have lined up? 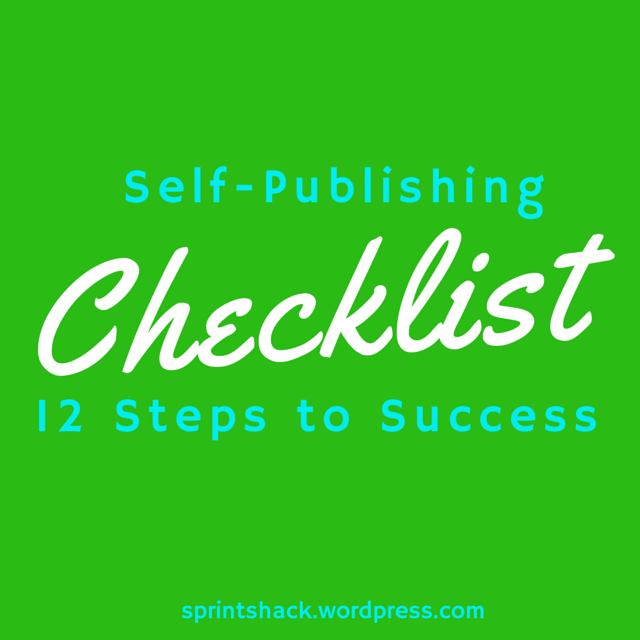 I hope this checklist helps you get a good handle on your self-publishing journey. Keep an eye out for more posts on self-publishing in the coming months! Have any steps that you find crucial to the self-publishing process? Have something you think should be added to the checklist? Have any questions? Let us know in the comments below! Not hat you mention it,I should print it out too! Good luck on your short story. For some reason, I get a rush of excitement whenever I get feedback from beta-readers!